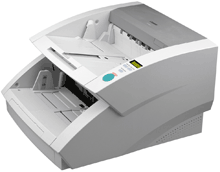 Please click here for our range of low - speed scanners. These scanners are suitable for low throughput requirements. Typically, less than 30 pages per minute. 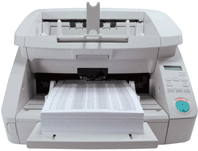 Please click here for our range of medium - speed scanners. These scanners are suitable for medium throughput requirements. Typically, between 30 and 60 pages per minute. Please click here for our range of high - speed scanners. These scanners are suitable for high throughput requirements. Typically, greater than 60 pages per minute with large paper size support.